Happy Tuesday! Hope everyone had a relaxing Labor Day weekend! I have been on the lookout for necklaces that look similar to the ones from the Lanvin fall/winter 2013 collection ever since I first saw them in a Vogue magazine. I FINALLY found them! 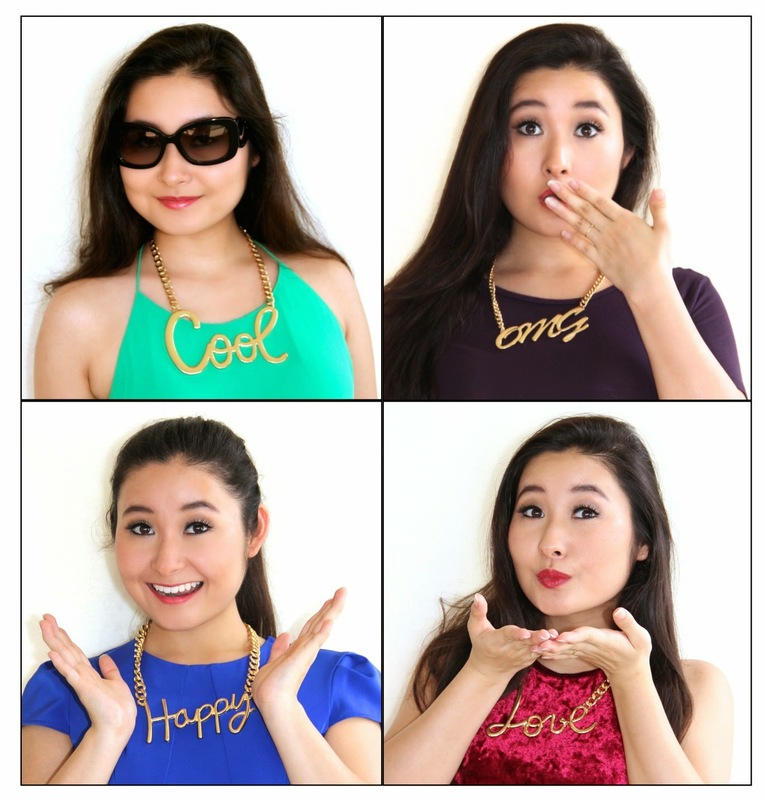 I recently purchased the "Cool," "Happy," and "Love" necklaces from Macy's and I purchased the "OMG" necklace a while back from Nordstrom Rack. The script of the Macy's necklaces are extremely close to the Lanvin necklaces; the only major difference are the chains. 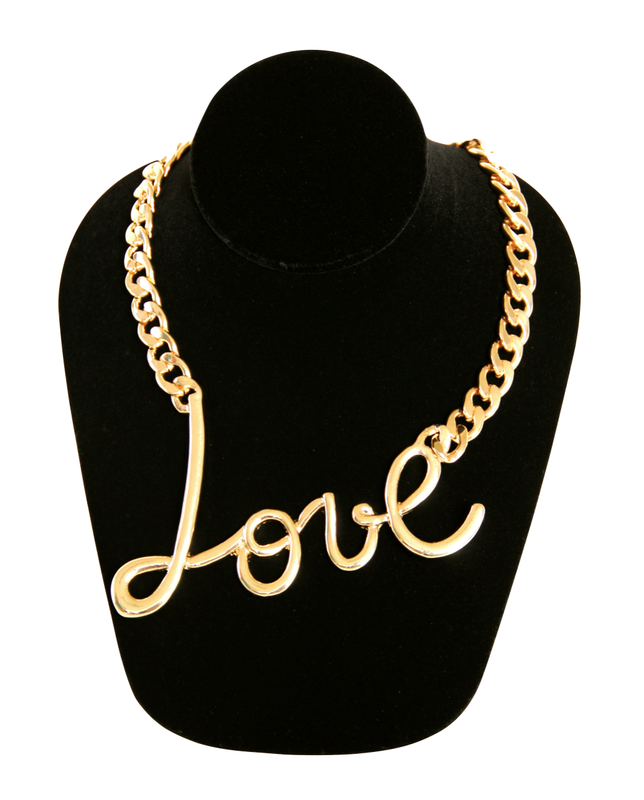 The Lanvin necklaces have a thin gold chain attached to the words while the Macy's necklaces have a thick gold chain. 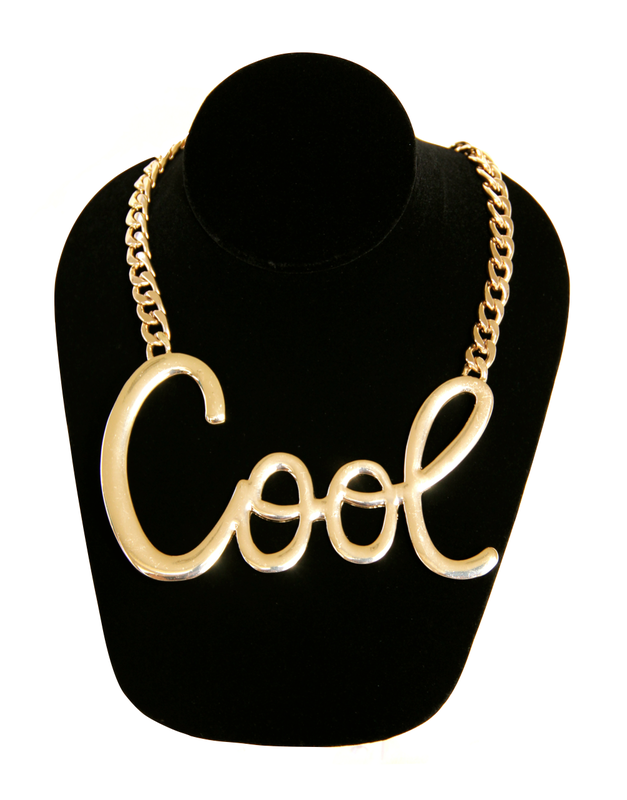 If you are interested in purchasing these necklaces or similar ones, you can click on the links below! You can wear these necklaces with a solid colored blouse, like I did in the pictures above, or if you're feeling bold, you can layer them with other necklaces. I love them so much and I hope you do to! Happy shopping! 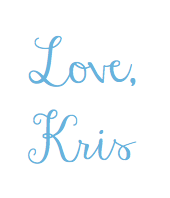 Sending you lots of love from my heart to yours! That is a great idea! If I could special order two necklaces, one would have the word FAITH and the other would be HOPE.